After graciously being nominated by sidekickreviews, here’s some interesting facts about our writers! 1. 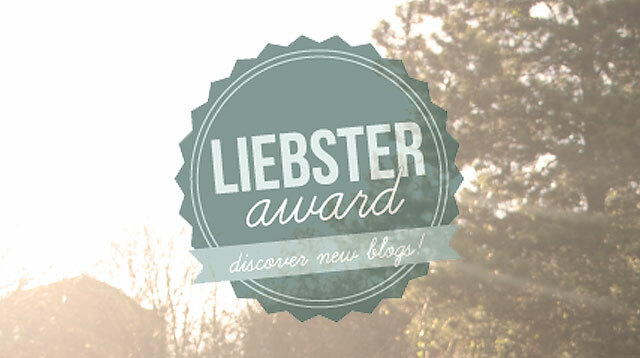 What’s your initial reaction to receiving the blogger nomination? Bryan: I was pretty surprised that our blog was recognized for something like quality, and I’m grateful that someone enjoys the content we put out. Daniel: My initial reaction was just surprise at the fact that we’ve been noticed by other bloggers. Bryan: Self-gratification from getting views. Blogging is a pretty good outlet for my personal hobbies and interests. Daniel: The satisfaction of having faithful readers who appreciate your work keeps me motivated. Will: Feedback from other people. 3. Do you collect anything, if so what is your most beloved possession? Bryan: I don’t really collect anything in particular (other than a few posters), but my most beloved material possession right now is probably my Fire Emblem Lucina playmat. Daniel: I collect video games, but I don’t have a particular favorite possession. Will: I collect A LOT of things and my most beloved possession is my laptop. 4. What’s a movie or song that made you cry? Bryan: Hachiko was created for the sole purpose of destroying hearts. Daniel: A lot of Pixar movies have made me cry, most notably Up. Will: I cried while watching Radio. Bryan: I have an older sister, and I’m trying to get her to watch more anime. Daniel: Bryan killed my sister I am a single child, unfortunately. Will: I have two siblings. 6. What do you love to eat? Bryan: I really like burritos…and curry too. Basically anything that you think causes indigestion, I guess. Daniel: I love to eat burgers! Will: I love to eat a lot of things, but baked fried rice definitely comes to mind when I think of food that I love. 7. Which comic book or novel would you recommend me to read? Bryan: The only novel I’ve read recently is Cloud Atlas, which is a phenomenal book. Daniel: I read Haruki Murakami’s The Wind-Up Bird Chronicle some time ago and it blew me away, so I would recommend that. Will: I know that they may not be the most difficult books to read, and you did ask for only one novel, but The Golden Compass, The Subtle Knife, and The Amber Spyglass make up a series that I think most people should read. 8. What are your favorite television shows that have gone off the air? Bryan: I’m still a little disappointed that the original Teen Titans was never continued. Daniel: I can never get tired of The Fresh Prince of Bel-Air. Will: My favorite television show that is no longer airing is Young Justice. Bryan: Not really, but I used play badminton a little in high school. Daniel: I used to play badminton with Bryan in high school. Will: I play a lot of sports with my friends like basketball, football, and tennis..
10. If you could give one piece of advice to other writers/bloggers, what would it be? Bryan: Write about what you like and what you think about things and try not to care too much about what other people think. Daniel: If you love writing but wish more people would read your work, don’t let that stop you and keep at it! Will: I would say that writing about things that you like would be the best way to start. If you enjoy it, then you will want to keep on doing it. 11. Who is your favorite sidekick? (not a trick question). Bryan: I was going to say Luigi, but I really like Trucy Wright from Apollo Justice. Daniel: Just off of the top of my head, I’d say Kato from The Green Hornet. Will: You know how to ask the tough questions. I would have to say that my favorite sidekick is Wally West as Kid Flash, but that is really only based on what I have seen from Young Justice. I really like the color blue. I’m learning Japanese right now. I don’t like eating mushrooms. My favorite Final Fantasy game is IX. My favorite character to use in Super Smash Bros. Brawl is Ike. The last non-handheld console I’ve owned is a GameCube, which I still play. I live across from a McDonald’s. The games I’m looking forward to in the future are Super Smash Bros. 3DS/Wii U and Bravely Default. I’ve been wearing the same watch for over 8 years. I was in marching band in high school for 3 years. I am currently majoring in Cinema, intending to focus on Fiction Filmmaking. I can’t stand the smell of green beans. I dip my french fries in milkshakes. My favorite movie is Back to the Future Part II. My first game console I ever owned was the N64. Cookies and creme is the best ice cream flavor, in my opinion. When I was in elementary, I was put into English Language Development classes because the school thought I didn’t know English…even though it’s my first language. My favorite anime character is Yuki Nagato from The Melancholy of Haruhi Suzumiya. I know how to play the Tuba. I cannot drink and walk at the same time without a straw. I did not learn how to ride a bike until I was 17. I was born in Oklahoma. My favorite video game is Psychonauts. I like to spell “theatre” with the “r” and “e” in that order, but I spell every other word that could end like that with the “e” before the “r”. Watching football games is my favorite hobby. I did not have sushi until I was 15. The Green Lantern is my favorite superhero. John Stewart is my favorite Green Lantern. Unfortunately, we don’t really follow anyone on WordPress as of now. However, if that changes, we will be sure to update this article with nominees and questions.